It's been a good week, starting off with beachvolley, downhill, wakesurf and windsurf in Oslo, going on to limo ride summerskiing in Stryn with following 6wheeler dynamite expedition at Flo and now surfing at Stad. Jørgen Jørgensen aka J-master boss knows where to be for ropeless action on the wake behind his Goldfish. Fredrik aka "I love fish" the swede is behind the wheel. HP tailgating on the Navara between DH sessions at Frognersetern. The Dragon jump beeing hit during FFFFFFFF, Fkin Frognersetern gettin Fckd by Fkin Freeriders havin a Fkin Festival. Limo ride in the golden Moods of Norway extra stretched oldsmobile. Full hygge style on the way to the mountain with nedrefloen himself. Nice and sunny on the backside. 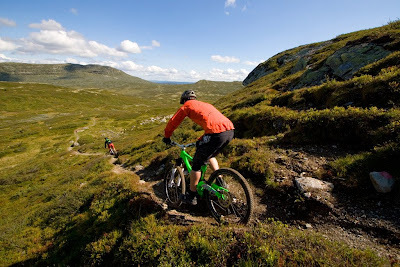 Following up with some healthy experiences in the beautiful Norwegian nature. A champagne toast in the honor of dudes with dynamite and godt humør! You know who you are and we know u live on the other side of the tunnel. All you need for summer: four wheels, skis, a guitar and a surfboard. Max Hygge for a session in Hoddevika. Piere gettting a little ride on his monosurfboard.